In Chinese, the question words like What （什么）, Who （谁）, Where （哪里） and How / How about （怎样/怎么样）are ALWAYS at the end of the sentence. nǐ qù nǎ lǐ ? 你 去 哪 里 ? 4. How did you spend your holiday? nǐ de jiǎ qī guò dé zěn yàng ? 你 的 假 期 过 得 怎 样 ? The question words like Why （为什么）, When （什么时候）and Which one, or Which （哪一个）are ALWAYS placed at the beginning of the sentence or after the subject. 1. Why must he do it that way? 为 什 么 他 要 那 样 做 ? 2. When is your holiday? 你 们 什 么 时 候 放 假 ? 3. Which one is cheaper? 哪 一 个 比 较 便 宜 ? Exception: In some cases, the questions word can be placed at the beginning of the sentence, or at the end of the sentences. Just remember, the words order in questions is always identical to the order of phrases in statements. 1. How can I figure out my taxes? 怎 样 才 能 算 出 我 的 税 金 ? 最 近 怎 样 ? 那 是 什 么 ? 你 叫 什 么 名 字 ? oops, did my comment get published? I have just upgraded my WordPress to the latest version and I have changed the comment spam plugin. So it may takes a while for your comment to get published. is this sentence correct? I have put 在北京饭店 at the end of the sentence, I know I could’ve put it before 我请你 or 我在北京饭店请你 （after the subject) but I just wanted to try at the end of this part of the sentence and see if it was correct. Are both these correct? if they are what is the difference between the first and second is there any in the way they are spoken? is the meaning different? Chinese grammar is very different compared to English. I agree that you don’t focus too much on the grammar. 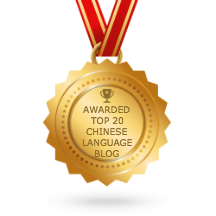 In Chinese, function words 虚词 are frequently used to construct a sentence. They are very different from English, and there is no special rules for those words in a sentence construction. The sentence structure is not really correct. with 1., maybe i am just confusing things too much, I　still dont understand the structure you used there, but can I just say. still dont know if that is correct though. Yes. You can take out 和我一起, which means “with me together”. But it is not wrong to have them. 不太好 means “not too good”. Your sentence “他说汉语不太好。” is still not correct. Yay, comment finally posted!, yeah just wanted to ask those 2 questions if someone could please help that would be great. P.S your article was great and helped me heaps, thank you! You have been a great help for me to learn Chinese sentence sentence and word pattern. I studied your “Chinese Sentence Structure and Word Order” lessons I through IX and noticed that “SP 10, Particle” is not included. Did I miss it? Please direct me as to where I can find it so I can continue.